The wide range of products is a result of intense quality analysis of raw materials at the initial stages of production. With stern checking, the products are examined with utmost precision. We are immensely recognized for delivering the orders within the stipulated time frame and at desired Sialkot(Pakistan). 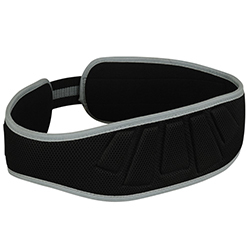 WB-1003 Neoprene Belt has a sturdy body with an excellent stretchability and is available in a quality packaging.